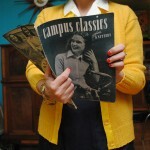 Just a quick little reminder that the Fall for Cotton sew-along is wrapping up tomorrow! Um, can you believe it’s already the end of September? How did that happen? I’ll be sharing my final blouse tomorrow. 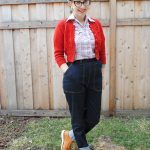 I put the finishing touches on it last week, including the buttonholes you saw in my tutorial post, as well as finally hemming it. A funny aside: I actually had a momentary panic that I’d forgotten to hem it when I put it on to take photos, but was pleased to find I had, in fact, remembered. Ha! In the end, a project that I’ve been keeping under my hat, combined with a couple of weeks of dealing with some pretty bad shoulder and back problems (which has kept me offline more than normal) set back my progress from my original inspiration, but I still have a cute new 40s blouse to show for myself. 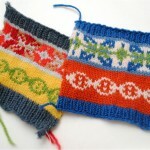 I really hope you’ve been enjoying this sew-along challenge! I know Rochelle and I both have had a wonderful time being your hosts! Don’t forget, to be eligible for one of the prizes, you must submit your finished photos to our Flickr group by the end of day tomorrow, Monday September 30th. 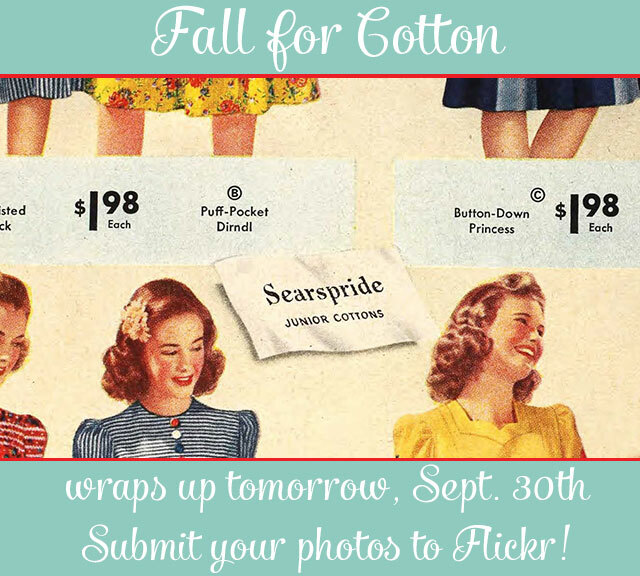 There has been an absolute flurry on Flickr, Instagram and Twitter of amazing Fall for Cotton projects. I’m so inspired by what everyone has been showing off. You guys rock!! I love going over to flickr and seeing all the amazing work, beautiful clothes everyone has done, very inspirational. I always wondered if Australia was a day ahead or a day behind us. My goodness, that sure was fast! I’ve really enjoyed seeing and reading all about the great projects many of the talented folks who took part in this challenge have been hard at work with all throughout the month.